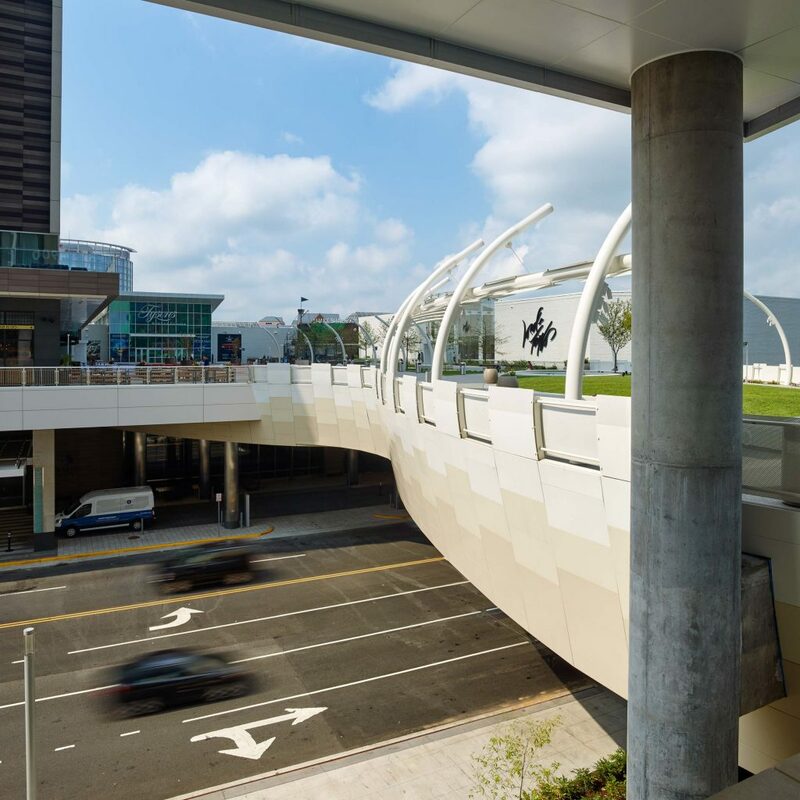 Located in the heart of an evolving Tysons, Virginia, Tysons Corner Center Plaza is heart of a larger master plan for the Tysons Corner Center, a plan that has transformed acres of mall parking lots into a transit-oriented, mixed-use center, complete with a light rail station, a hotel, a residential tower, and an office tower. 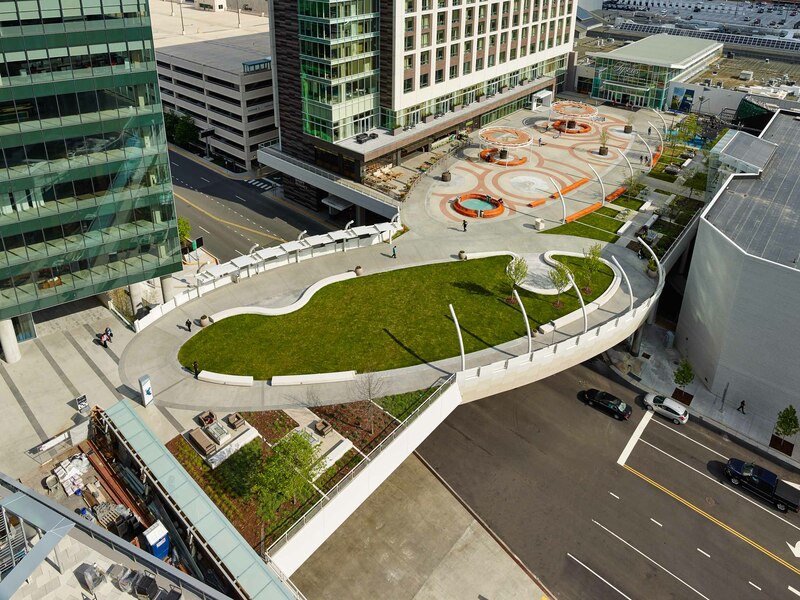 At its most fundamental level, the elevated 1.5 acre plaza was intended to be a piece of infrastructure: a bridge providing a pedestrian connection from the new Metro station to the 3 towers over the roadway 32 feet below. 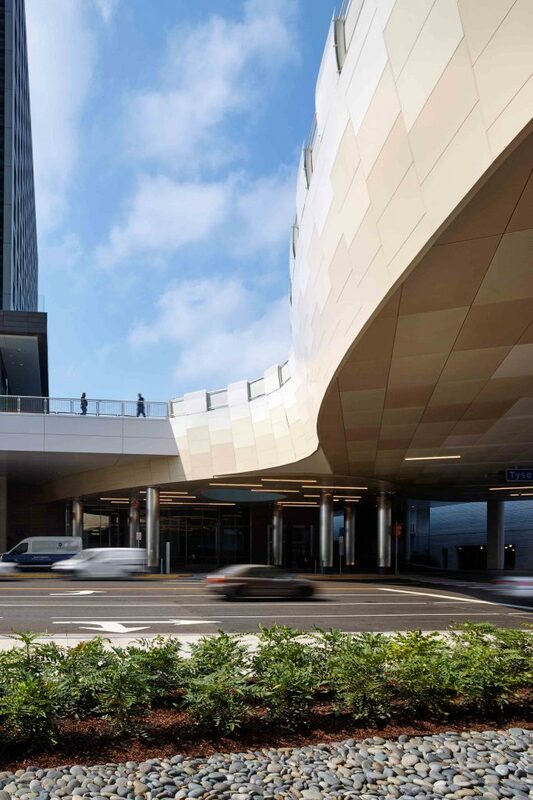 But, the design is much more — it becomes the focal point of a new urban center. 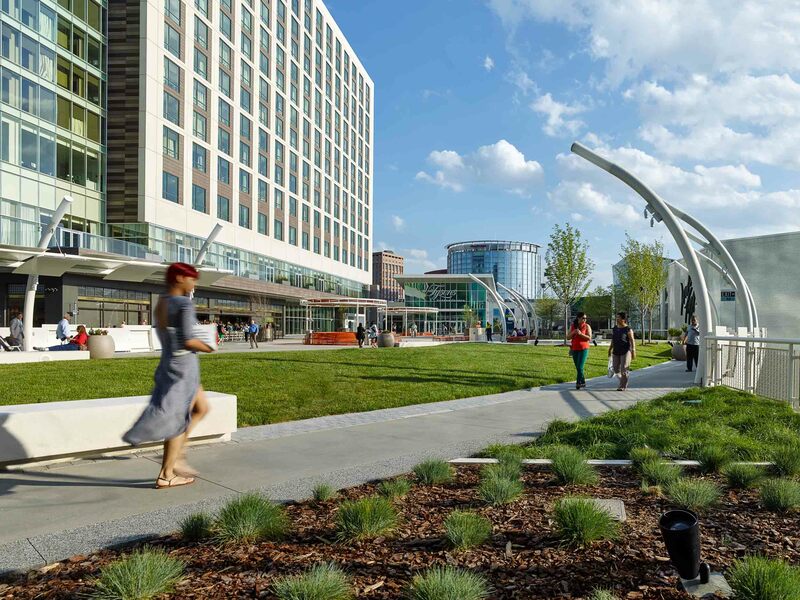 As the main public space for this new community of residents, office workers, and hotel guests, the plaza balances and resolves a number of competing uses. For residents, it provides a much-needed area for daily outdoor recreation. 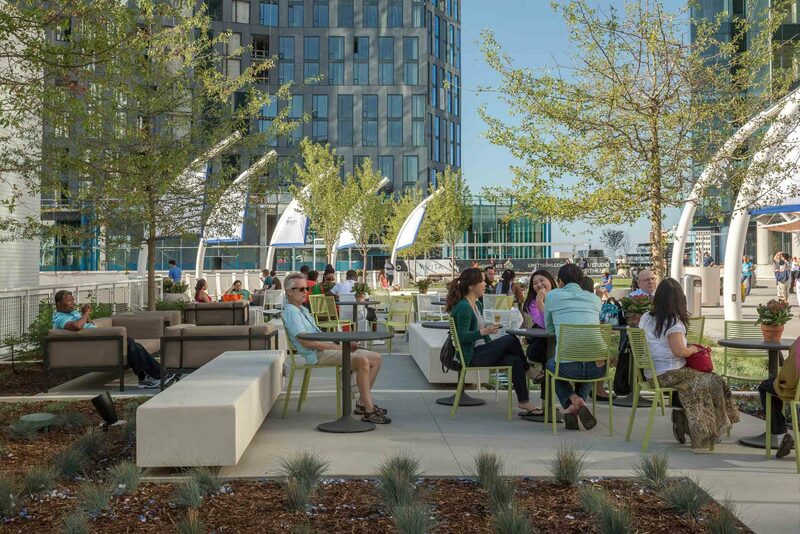 For office workers, hotel guests, and retail customers, it serves as an independent and comfortable outdoor space. For all, the plaza is a vital community center. 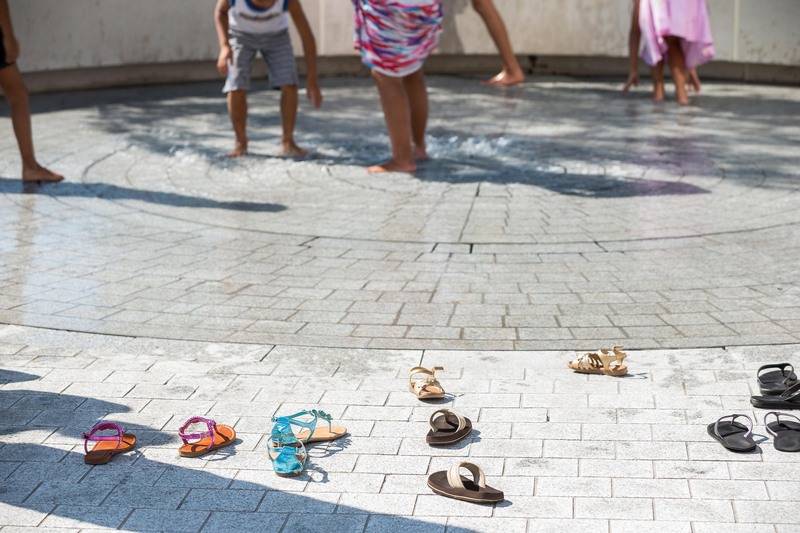 To support the myriad needs of this new community, the project provides amenities for the changing needs and scales of use found in the daily life in an urban center. 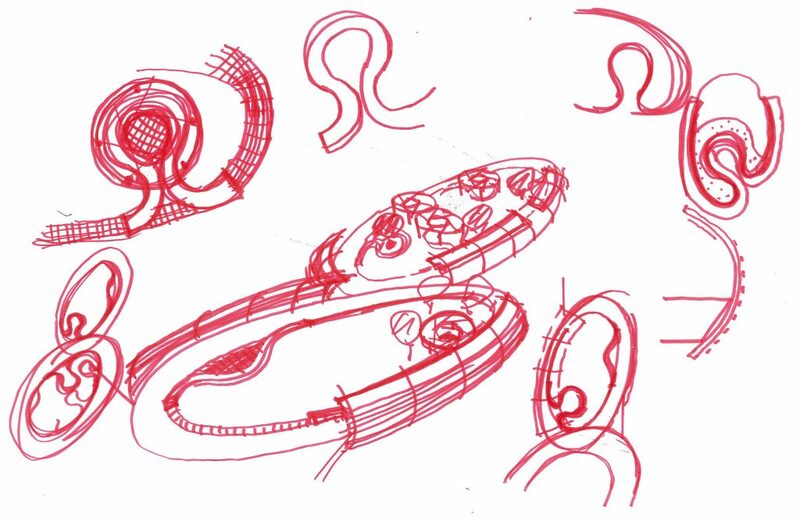 These include an event plaza, an active recreation lawn, passive seating areas, and activities for children such as a play area and water feature. The passive and active areas for adults and children work at the scale of the individual while providing opportunities for the community to gather. 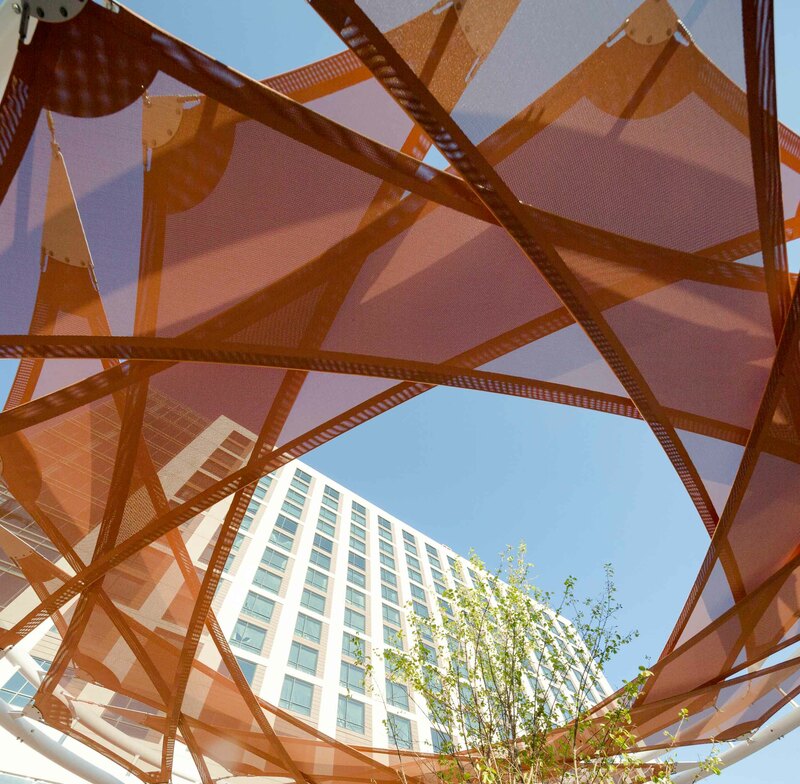 These elliptical geometries contrast dramatically with the orthogonal nature of the surrounding development, creating a distinct design language that increases the plaza’s visibility and prominence as a place where diverse groups of people interact. 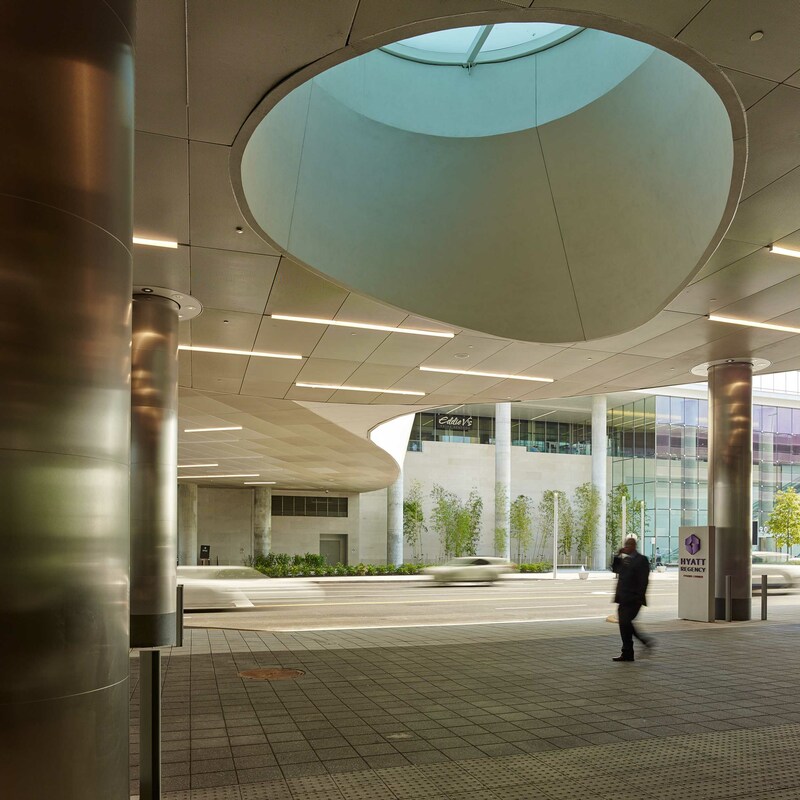 A FLUSH, CIRCULAR SKYLIGHT IS INTEGRATED INTO THE PATTERN TO PROVIDE LIGHT ACCESS FROM THE PLAZA DOWN TO STREET LEVEL. The two ellipses are as different programmatically as they are materially. 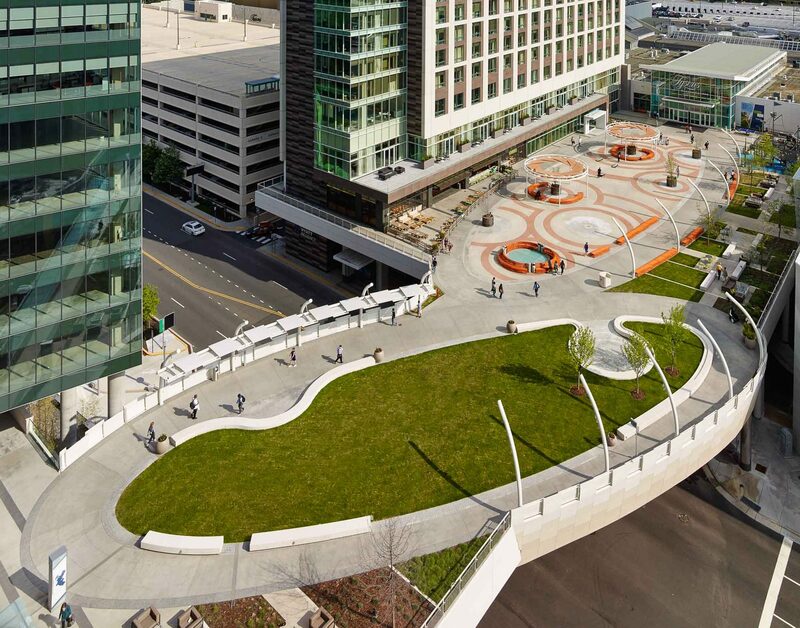 The plaza sits atop ballrooms for the adjacent hotel and provides the large, flexible space for community events such as concerts, seasonal ice rinks, and holiday markets. 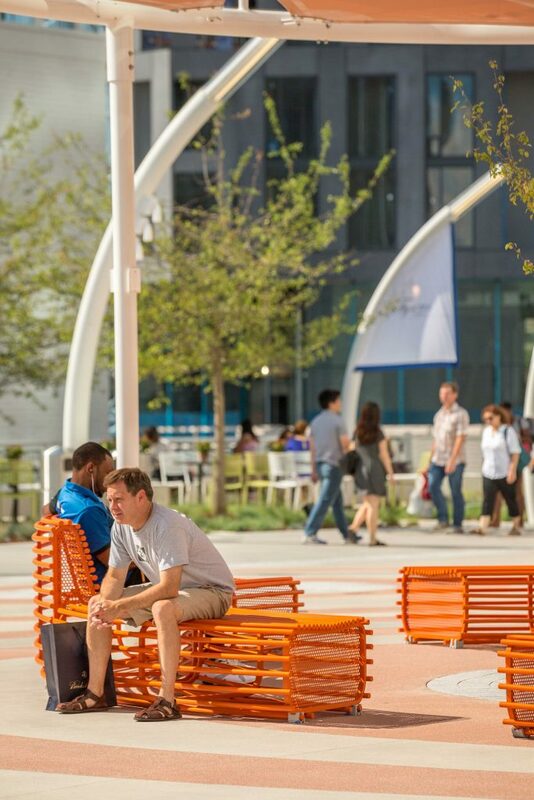 During daily use, designed elements provide more intimately scaled spaces for people to gather. 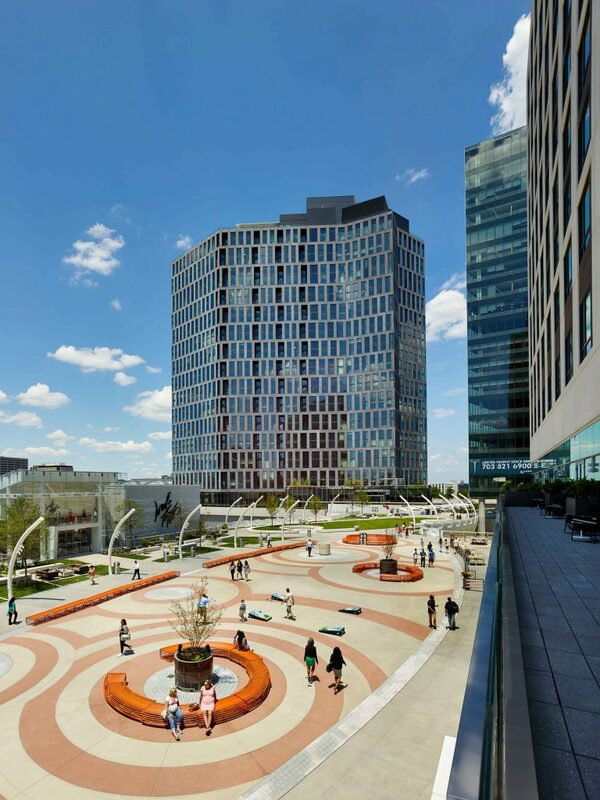 Patterned paving breaks down the scale of the space and provides interest for those looking down from the towers above. 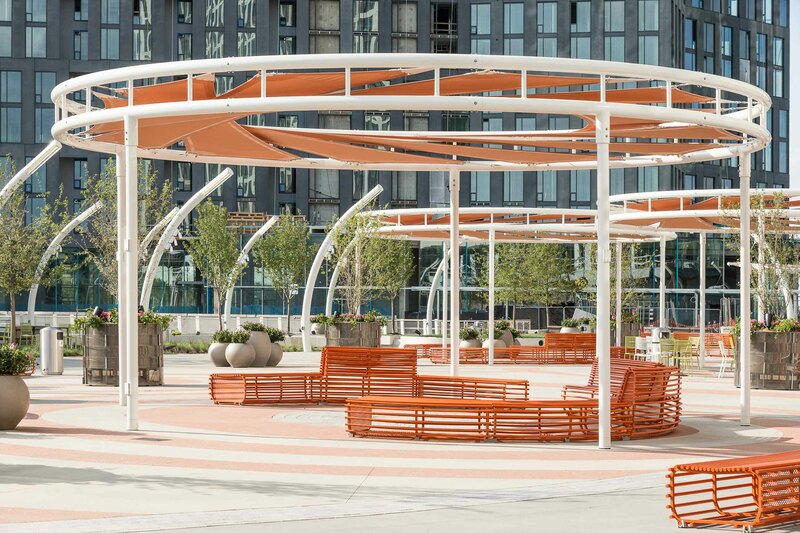 Custom, removable canopies create shade and focal points on the plaza, and a curvaceous, custom-designed modular seating system reinforces the geometry of the hardscaped oval. 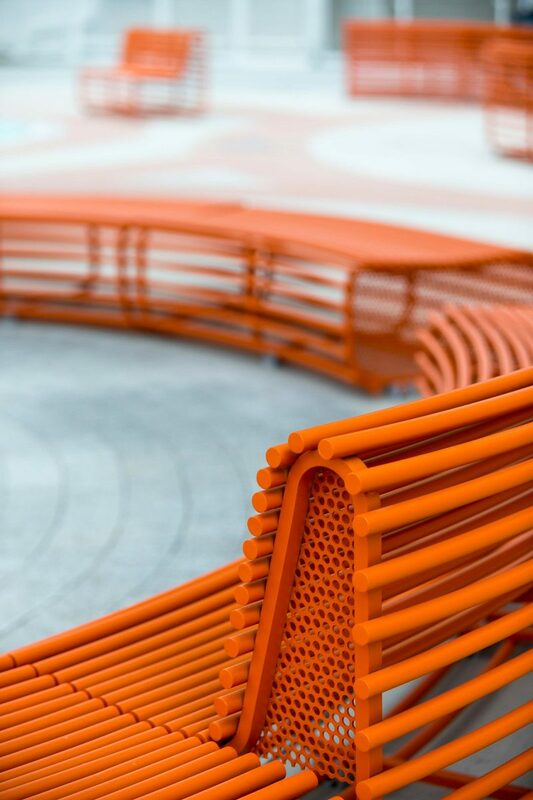 Referencing the meandering nature of regional rivers, these winding seat walls and removable modular bench elements create “eddy” spaces within the ellipses, defining smaller scale opportunities for gathering. 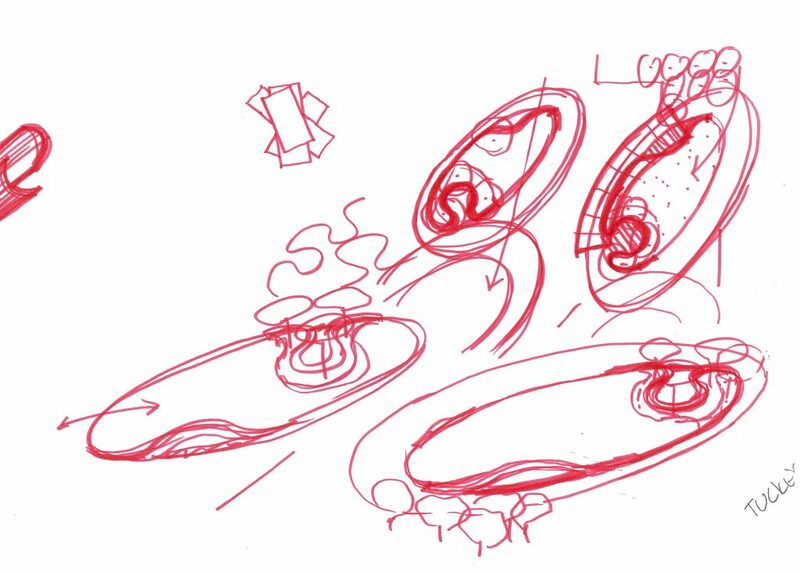 The system’s modularity allows it to be transformed into new arrangements as the plaza is programmed or removed entirely for larger scale events. 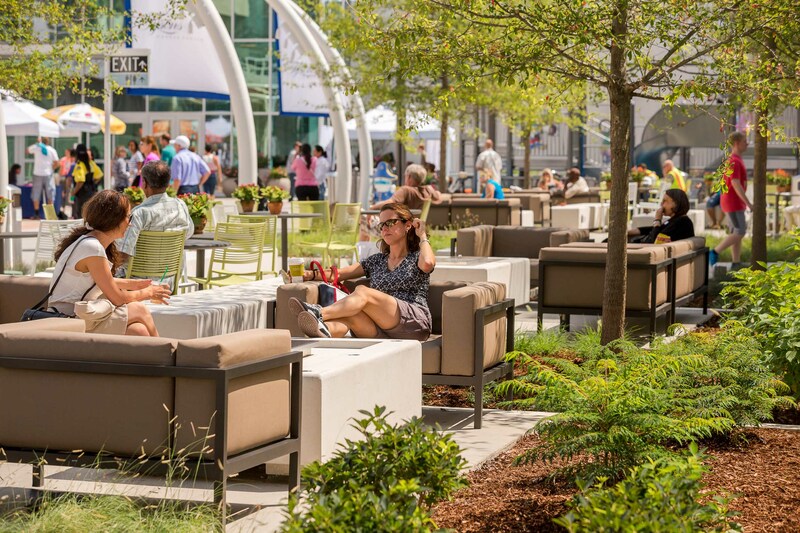 Tysons Corner was the genesis of the RIO Furniture Collection which is design by Rios Clementi Hale Studios and sold by Janus et Cie. The grassy meadow, meanwhile, floats over the main roadway. It serves as a soft refuge for daily pastimes as well as a community green. 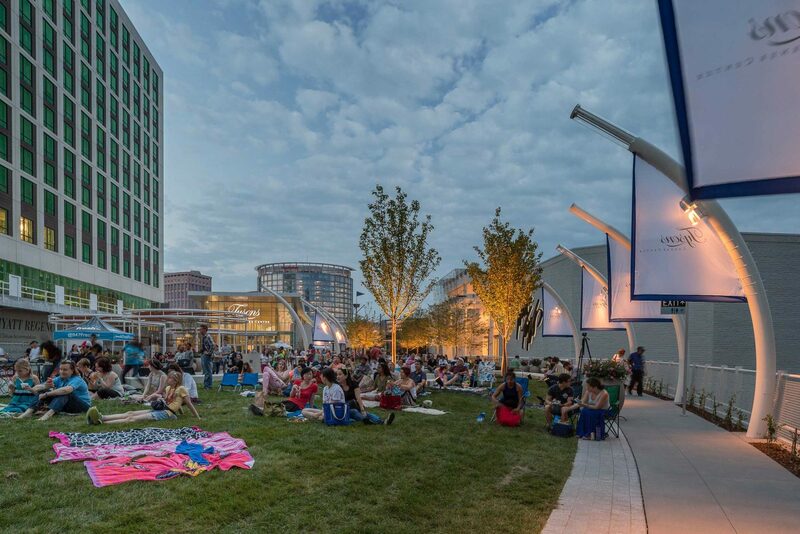 Residents use it for more active pursuits like playing games and morning exercise classes, and when needed, it becomes a venue for community experiences such as outdoor movies. 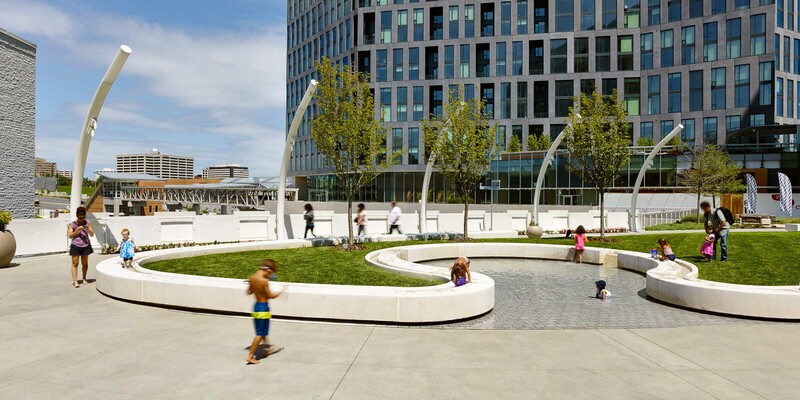 Precast benches emerge from the outer paving ring to accentuate the elliptical form and provide places for reading, resting, and relaxing.